Painless Wiring race car fuse panel/relay box. This is an 8-circuit kit for race cars. 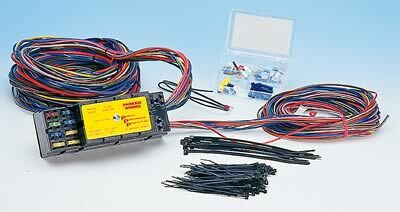 Has 8 fuses and 8 30-amp relays all in one consolidated package. Top quality wiring.